Cesar Sayoc, accused of mailing potentially explosive devices to a number of prominent Democrats and Trump critics, had a list of more than 100 potential targets, multiple reports say. The 56-year-old Florida man faces five federal charges — interstate transportation of an explosive, illegal mailing of explosives, threats against former presidents, threatening interstate communications and assaulting federal officers — after his arrest on Friday. In reporting the existence of the list, CNN, NBC and The New York Times cite law enforcement officials who decline to talk on the record due to the ongoing investigations. Sayoc reportedly devised the list through online research of political figures, entertainers and journalists. The Associated Press reports the list contained more elected officials. Authorities have not publicly named those on the list, but the Times reports that they have begun notifying the individuals. “The list recovered by the authorities included an editor at The New York Times, suggesting that Mr. Sayoc was considering threatening other media outlets,” the Times reports. On Monday, the FBI reportedly alerted the Times that the editor’s name was on the list. “While the agents urged the employee to exercise caution, they also played down the likelihood of any imminent threat,” the Times reports. Later on Monday, a manila envelope bearing “some similarities” to last week’s packages containing potentially explosive devices was found in an editor’s mailbox. Authorities determined it did not contain any explosive devices or harmful materials. Sayoc made his first, largely procedural court appearance on Monday in Miami. His next hearing will take place on Friday. 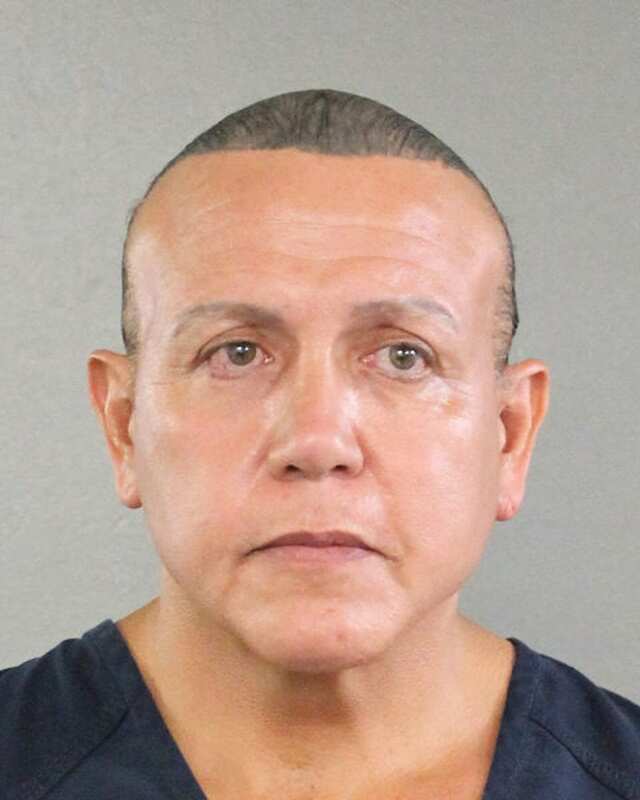 Fingerprints, DNA and social media posts led authorities to identify Sayoc as the suspect after he allegedly mailed a series of suspicious packages containing potentially explosive devices to Democrats, CNN and prominent Trump critics throughout the U.S. Packages were addressed former President Barack Obama, former Secretary of State Hillary Clinton, former Vice President Joe Biden, Rep. Maxine Waters, D-Calif., Sen. Cory Booker, D-N.J., Sen. Kamala Harris, D-Calif., former CIA Director John Brennan and former Director of National Intelligence James Clapper. Packages were also addressed to billionaire George Soros (whose Open Society Foundation has supported NPR in the past) and billionaire donor Tom Steyer, who is financially supporting a campaign to impeach Trump. A package was also addressed to the actor Robert De Niro, a harsh critic of Trump. Yet another suspicious package, addressed to CNN’s Atlanta office, was intercepted on Monday, three days after Sayoc’s arrest.